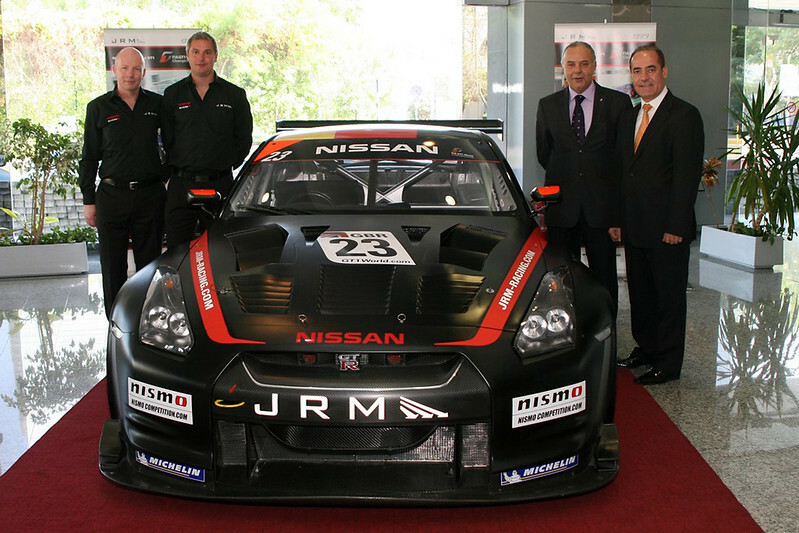 This week marks the start of the auction period for potential buyers to view and bid for JRM Racing’s two Nissan GT-R NISMO GT1s that were campaigned so successfully in the 2010 and 2011 FIA GT1 World Championships. To launch the sale, an introduction event was held at the Al Masaood Automobiles premises in Abu Dhabi on Monday (12th November). 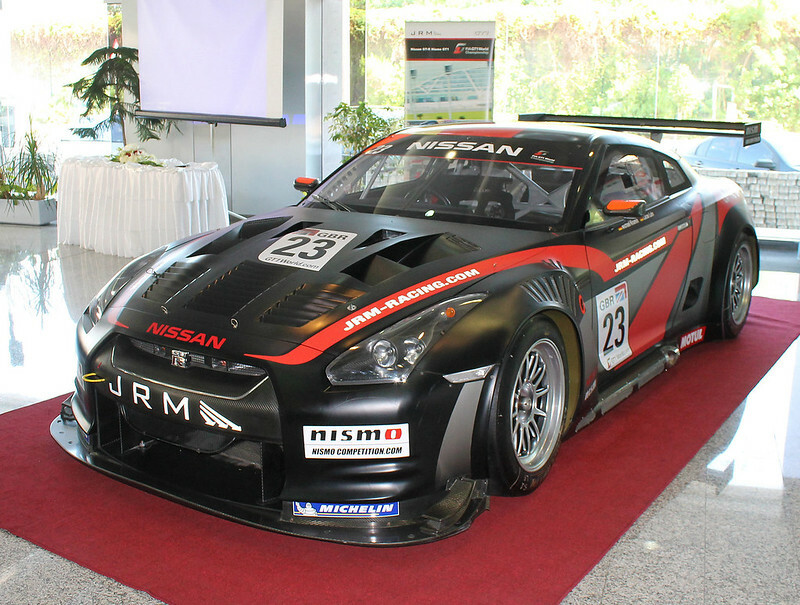 Earlier this month cars #22 and #23 were shipped from the UK to the UAE and put on display in the Al Masaood Nissan showroom in the Khalidiya area of the nation’s capital. Then, at the event on Monday, it was announced that the opportunity to bid for these two official NIMSO (Nissan Motorsports International Co. Ltd.) built cars had officially commenced. It was confirmed that the bidding ‘window’ will stay open until 2nd December – UAE National Day – when sealed offers will be opened and the new owners of the two 600bhp Nissan GT-Rs will be revealed. Between now and then, the cars that won the coveted RAC Tourist Trophy in 2010 and 2011 and the FIA GT1 Drivers’ World Championship title in 2011 can be viewed at the Abu Dhabi Nissan dealer’s showroom. The sale is being conducted as a ‘silent’ auction, with sealed bids made confidentially by email to JRM, or by hand to the Al Masaood Automobiles premises, until 2nd December. The reserve price for each car is set at $1,000,000 (USD). The winning bids will be accepted and revealed at 6.00pm on 2nd December. JRM has confirmed that 10% of the sale value will be donated to a charity of the buyer’s choice.